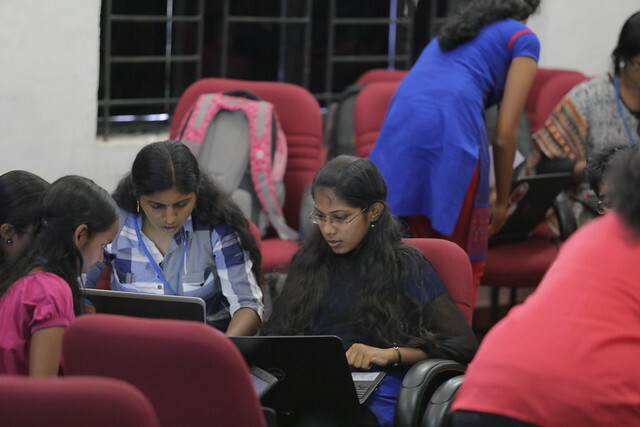 The Mozilla Kerala community organized a developer bootcamp for women called HackrGirls. The bootcamp turned out to be successful that gave us much more outcome than we expected. Thanks to all the energetic and enthusiastic ladies who were at the event. I’d like to thank Mozilla’s Developer Relations for sponsoring this event without which this would have been impossible to execute. 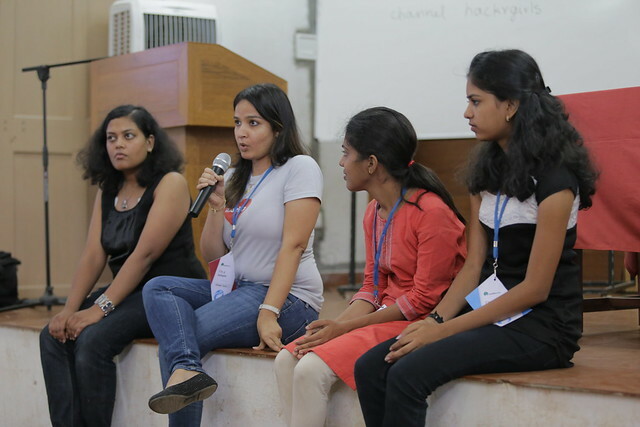 I’m happy to know that February was an exciting month for the ladies who attended HackrGirls. HackrGirls was a name chosen for igniting the light inside every girl who is interested in taking their coding skills to the next level. 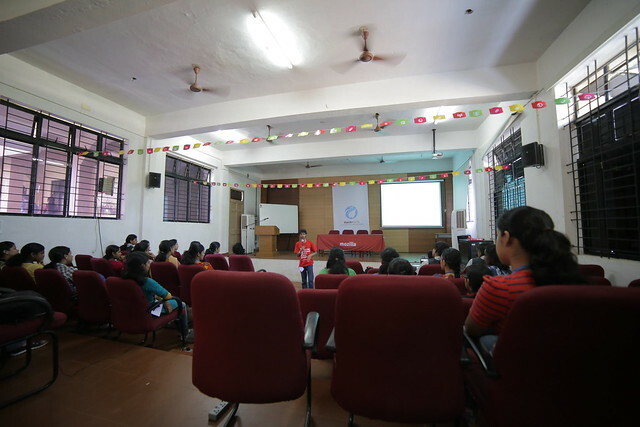 The event was a great event for Mozilla Kerala that was executed with the effort of the volunteers of Mozilla Kerala. Thanks to all those who worked behind the event. 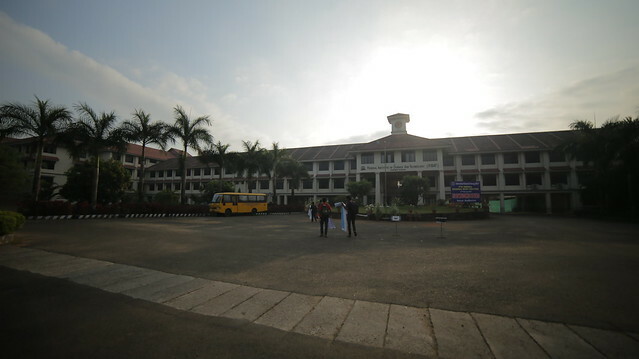 Federal Institute of Science And Technology (FISAT), one of the remarkable colleges who supports the activities of Mozilla provided a venue for the event. The event was a bit delayed as the participants arrived late. After the event check-in at around 9:30AM. 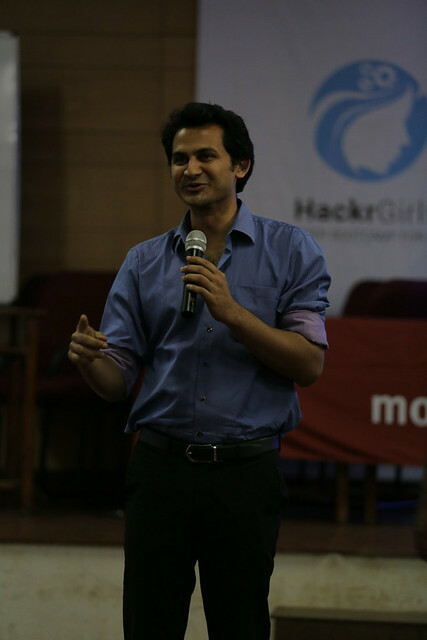 Praveen Sridhar kickstarted the event at around 10:15AM with the introduction about the event and the sessions that were scheduled for the event. He then conducted an ice-breaker session with Neethu Sajeevan for gearing up the ladies into the style of interactive learning. The icebreaker mainly aimed at collaboration and teamwork which is very important part of any project/mission. Shine Nelson introduced version control systems. 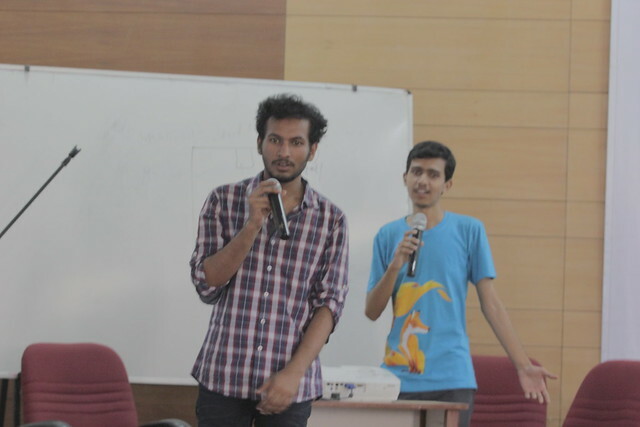 He talked about Git and Github to the participants. He covered the basics of git and it uses. He also talked about Internet Relay Chat (IRC) and helped everyone to join IRC. The session then dispersed for a tea break. We had four mentors for our event. Ms. Bhavana Bajaj (Release Manager, Firefox OS, Mozilla Corporation, USA), Ms. Chinmayi S K (Founding CEO, Saakshin Technologies), Mr. Sijo Kuruvilla (Founding CEO, Startup Village) and Ms.Tessy Joseph (Web QA Intern at Mozilla). The session after the break was to make teams and collaborate themselves on finding their interest. Girls were divided into groups and shared their thoughts, ideas and interests. Each group, having a mentor, discussed about the possibilities and the openings for women in Mozilla and Open Source. Also they were introduced to the different ways of contributions. That was followed by another session on “Imposter Syndrome” by Chinmayi S K in support with Nidhiya V Raj and Neethu Sajeevan. It helped the girls a lot to understand about themselves and Chinmayi explained how to overcome the condition by tackling their mind. After the session, the event dispersed for lunch . The afternoon session was on how to develop front-end technologies. 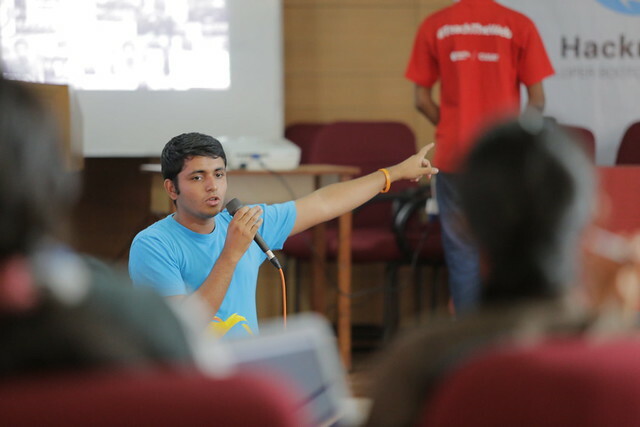 Varghese Thomas E covered basic HTML and CSS. After the basics session, we had the tea break. The second day was the most enthusiastic day as it started with Ms. Bhavana Bajaj explaining about the Mozilla QA and Release Management. She introduced herself and then about her work history and current designation at Mozilla as Release Manager. She gave an introduction on how a version of Firefox OS is released after making sure it doesn’t crash after an update, etc. Ms. Bhavana led a BugBash and OneAndDone challenge. Each group were given a Firefox OS device to test and assigned some OneAndDone tasks as challenges. All the participants made bugzilla accounts and started filing bugs. The person who filed the most number of bugs was awarded a Firefox OS Flame device. Within half an hour, over 55 bugs were filed on bugzilla.mozilla.org. The OneAndDone challenge was completed by everyone. Bug Bashing was really interesting for girls to find bugs in each and every corner of the OS interface. After a tiring bug bash, lunch was served. How did the participants respond to the topic of Imposter syndrome? Was that actually causing girls from coming up? I found this page through Faye, a Mozillian in the Philippines. Her article was posted on something about Mozilla. You should post things more often, this is a great program.